A CJBS manager, Sui has been with the firm since 2006. 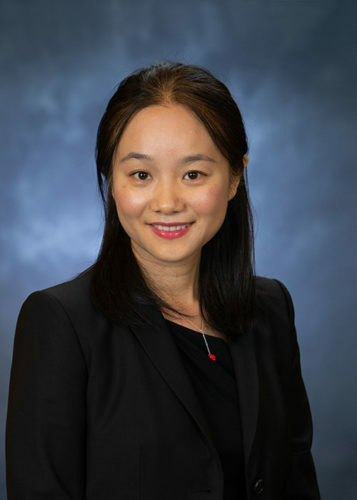 She works primarily in the tax and accounting departments, carrying out tax consulting and preparation, as well as financial statement compilation. Her previous experience includes serving as a staff accountant with KWV Partners and as a business representative with Marubeni Corporation. A caring and helpful professional, Sui strives to serve her clients diligently and to the best of her abilities. She chose to pursue a career in accounting for the job security of the industry. Sui credits her success in the field to her persistence and faith. A resident of Vernon Hills, Illinois, Sui is married and has one son. She enjoys her neighborhood for its walkability and abundance of good parks. Sui likes to spend her free time reading and traveling. Favorite book: She loves too many to pick a favorite! Sui believes that we need to keep learning every day. Secret talent: Sui plays the Zeng, an ancient Chinese instrument.